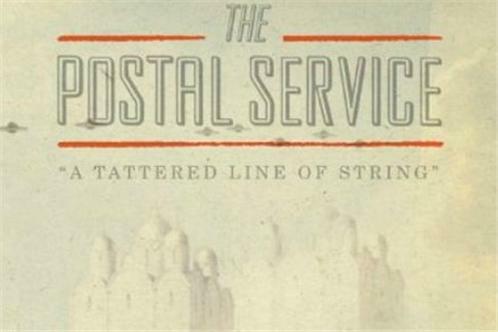 The Postal Service is an American electronic musical supergroup composed of vocalist Ben Gibbard (of Death Cab for Cutie), producer Jimmy Tamborello (of Dntel and Headset) with Jenny Lewis (of Rilo Kiley) on background vocals/keyboards & samplers live. For the band's reunion tour in 2013, Laura Burhenn joined the lineup to provide additional vocals and instruments. The group formed after Gibbard contributed vocals for a song called "(This Is) The Dream of Evan and Chan" from Dntel's album Life Is Full of Possibilities. The song sparked an EP of remixes by other artists, such as Lali Puna, The Flaming Lips, Safety Scissors, Barbara Morgenstern and Superpitcher, and was so well-received that the two artists decided that further collaboration was in order. The band's name was chosen due to the way in which it produced its songs. Tamborello wrote and performed instrumental tracks and then sent the DATs to Gibbard, who edited the song as he saw fit (adding his vocals along the way) and sent them back to Tamborello through the United States Postal Service. The third member of the band, Jenny Lewis, lived in the same apartment complex as Tamborello and would record temporary vocals for several of the album's tracks before eventually becoming a full-fledged member of the band, sharing vocals and instrumentation in their live shows. The band's debut album, Give Up, was released on February 18, 2003. Several songs on the album feature guest vocals from Jenny Lewis, the solo artist and lead singer of Rilo Kiley, as well as vocals from indie rock musician Jen Wood. Dntel and Chris Walla produced the album. Walla played the guitar and piano on several tracks. 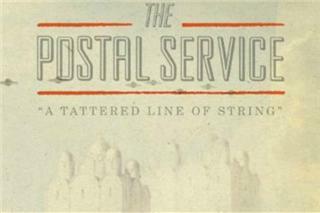 Though both artists' main bands were still active at the time, The Postal Service supported the album with a successful concert tour and has stated its intention to tour again in the future. The album was the Sub Pop label's most successful release since Nirvana's debut album Bleach. The album's most well-known single was "Such Great Heights", which is featured in advertisements for UPS and Kaiser Permanente. "Such Great Heights" was also the first theme song for ABC's Grey's Anatomy in 2005. The song was covered by Iron and Wine and was featured on the soundtrack for the film Garden State, as well as a commercial for M&M's. It was later covered by Amanda Palmer, Ben Folds, The Scene Aesthetic, Brack Cantrell, Streetlight Manifesto, Confide and Joy Kills Sorrow. The song "We Will Become Silhouettes" was covered by The Shins and the original version was featured in the trailer for the movie Funny People. The song "The District Sleeps Alone Tonight" was featured in the soundtrack of the 2004 film D.E.B.S..